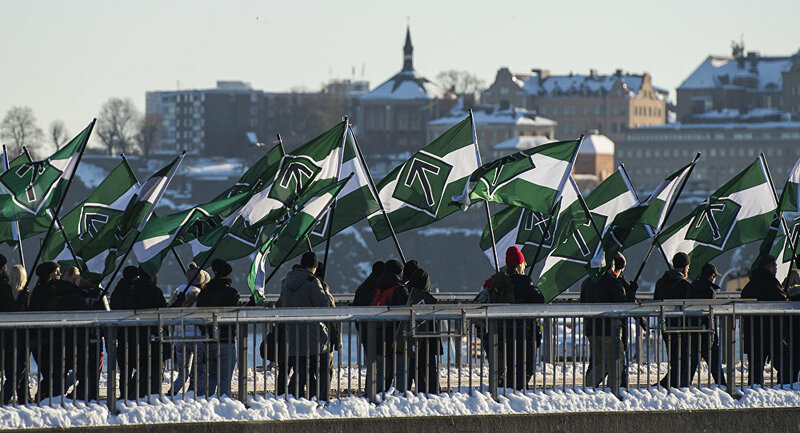 After years of controversy, a searing debate on the white supremacist Nordic Resistance Movement was kindled with unmatched force last year, after a man in Helsinki was battered by a NMR member and died later in hospital. Subsequently, the matter was taken to court by the Finnish Police Board, who argued that the association can be lawfully abolished as its operating principles violate both the law and accepted practices. While the NMR ban has been widely welcomed by Scandinavia's left-wing organizations and generally left-leaning press, doubts regarding the ban's effectiveness were also expressed. Researcher Christer Mattson of the Segerstedt Institute in Gothenburg argued that the ban may ultimately prove to be of no help in combatting right-wing extremism. "They are strongly ideologically motivated, and a ban can simply spur them into finding other ways of self-organization," Christer Mattson told Swedish national broadcaster SVT. This idea was echoed by Leo Hertzberg of the Finnish Police. "What happens is that the same people find a new organization and start something similar. Decisions like these have a rather symbolic value," Leo Hertzberg told Finnish national broadcaster Yle. ~200 NMR Nazis held demo in Tampere against court considering ban. Most from Sweden. ​In Sweden, the NMR's demonstrations have become a recurrent red flag for the country's left-wing activists and journalists. Most recently, the NMR's march in Gothenburg led to dozens of arrests amid violent brawls between right-wingers and Antifa. Despite vocal public demands to ban the divisive event from, among others, Sweden's Jewish community, who perceive the NMR as anti-Semitic, the Swedish police was adamant in allowing it on the grounds of freedom of speech. Earlier this week, politicians on the Swedish island of Gotland called to ban the NMR from next year's Almedalen week, which is the Nordic country's leading politics festival. This year, the NMR was granted permission to rent land during Almedalen for the first time, which kindled a storm of protests. According to Mattson, the law against instigating hate in public applies to crimes committed by an individual, whereas marches and other public manifestations devoid of overtly Nazi rhetoric are hard to put a finger on. Although it theoretically could lead to prosecution, no sentences have been awarded for participating in demonstrations. 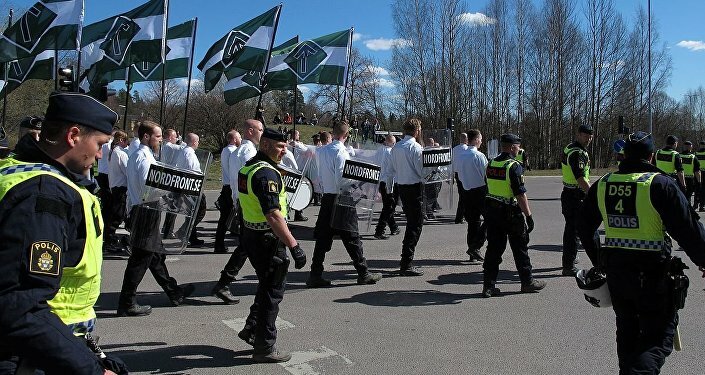 ​With branches in Norway, Sweden and Finland, the NMR unites several hundred members and seeks to establish a single National Socialist state on the platform of Nordic self-sufficiency and separation from the EU. The organization is also known for its penchant for embracing traditional Nordic imagery such as runes and remains a staunch opponent of mass immigration, advocating the repatriation of non-white migrants. Several NMR members are known to have served prison sentences for violent behavior. A Danish affiliate of the NMR also existed, yet was disbanded in 2016. The most recent time a Nordic organization was banned for ideological reasons occurred in 1977, when four fascist societies founded by notorious neo-Nazi and arsonist Pekka Siitoin were outlawed by the Interior Ministry. ​A more well-known instance of an ideological ban is the radical nativist Lapua Movement, which was disbanded in 1932 after a failed coup and an attempt to kidnap Finnish President Kaarlo Juho Ståhlberg. ​Sweden, on the other hand, had numerous National Socialist societies operating in the 1930s. After WW2, during which Sweden acted as a major supplier for Hitler's military despite officially maintaining neutrality, many marginal groups with borderline Nazi affiliation mushroomed, including the New Swedish Movement (of which IKEA founder Invar Kamprad was a member in his youth) and the Nordic Reich Party, which continued well into the 2000s.